Part of the Virginia Community College system, Danville Community College (DCC) began in 1936 as Danville Textile School. Located on an 86-acre campus, DCC serves a wide range of students from the City of Danville and surrounding counties. Located in the center of campus along the main promenade, the Center is designed to become a focal point for a planned campus green. 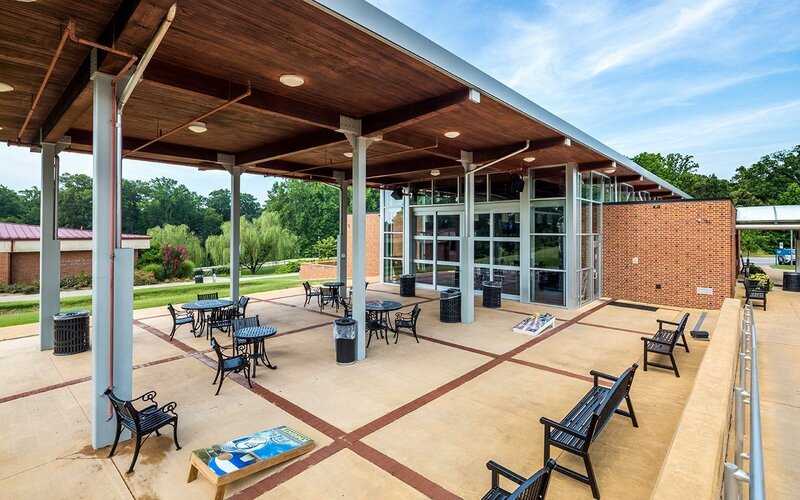 The program includes a combination of open and intimate gathering and study spaces, a fully functional food service bistro with an outdoor dining area, a meeting room for private functions, and student activities office. The center also features a raised stage area with sound system capabilities for various small stage productions and concerts, as well as an outdoor stage area for larger performances. 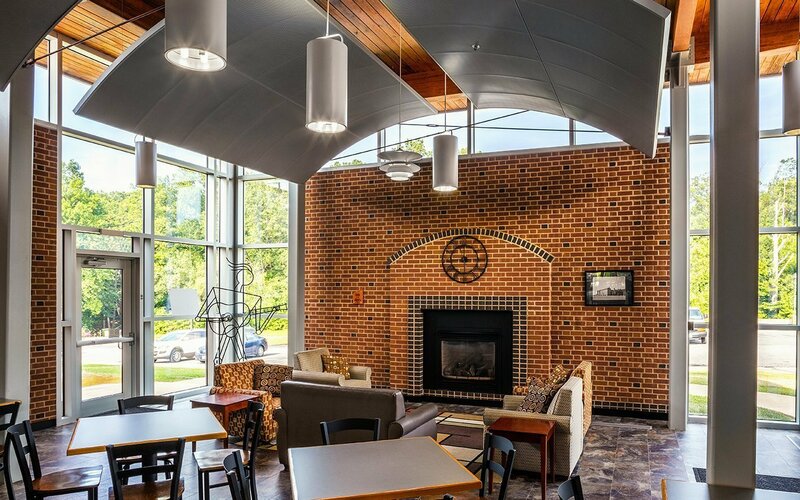 While planning for a centralized student center had been initiated in the 1970s, it wasn’t until local community organizations provided significant donations that the project could be realized. 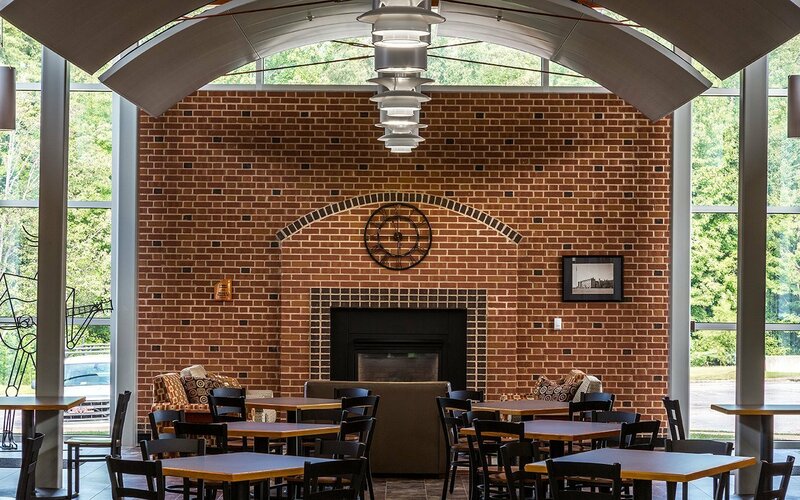 Now DCC students can gather, study, eat, and relax in a dedicated space at the heart of campus.